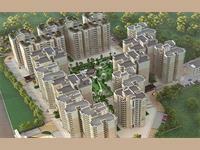 Looking for a property in Amar Shaheed Path? Have a property in Amar Shaheed Path? Amar Shaheed Path is a very good location. Easy approach from Airport/ ST depot/ Railway station. Amar Shaheed Path is a very prime location in Lucknow. Excellent connectivity with all major station like school, hospital, malls and airport etc. and one of the greatest location developing in next couple of years. With excellent connectivity to every place it is the best locality to live. Gives a good living place. Amar Shaheed Path, Lucknow is rated 10 out of 10 based on 3 user reviews. Have a good knowledge of Amar Shaheed Path? Share it and become a Locality expert. MI Builders presents MI Rustle Court with 2 & 3 BHK apartments available at Amar Shaheed Path, Lucknow. Atmos : Luxury 3BHK Apartments in Gomti Nagar Extn.